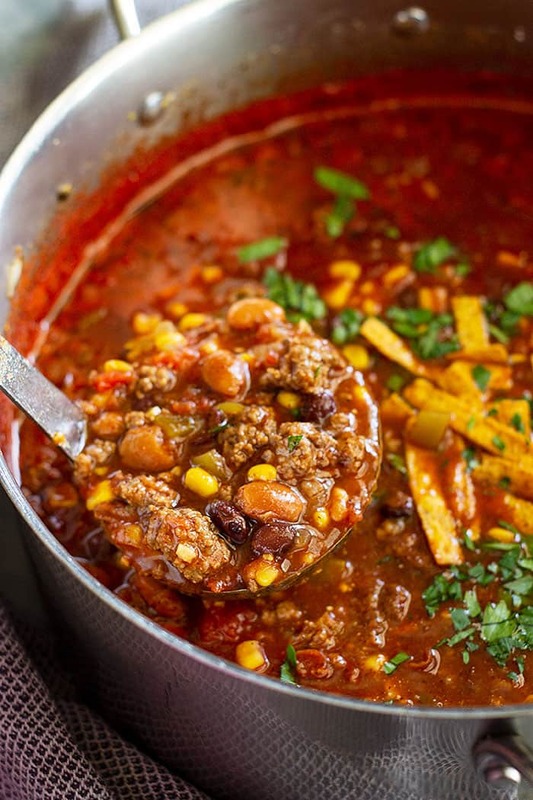 This Easy Taco Soup is full of flavor, hearty, and perfect for any night of the week! 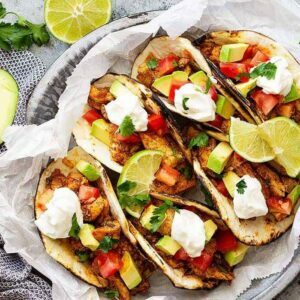 Make it on the stovetop in 30 minutes or use your slow cooker and come home to a delicious meal! 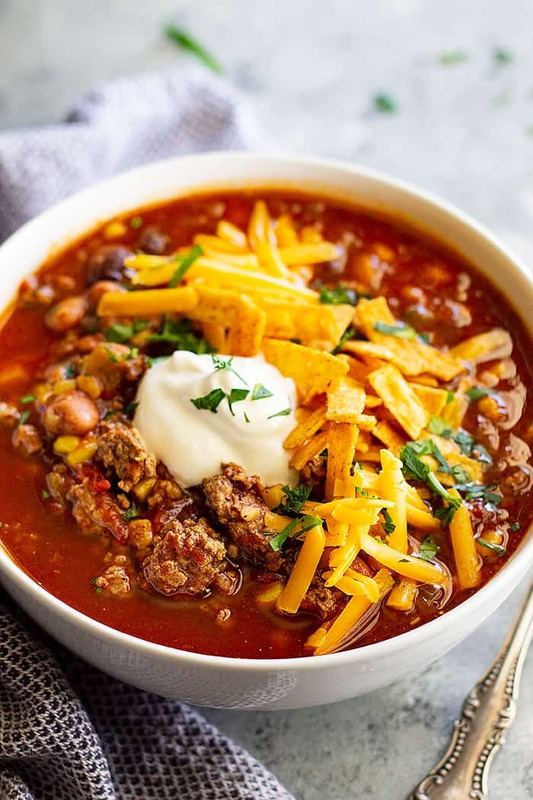 This easy taco soup is a lifesaver! It can be made both on the stove top and in the slow cooker. 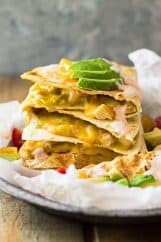 So, maybe you are on your way home and don’t know what to make for dinner but you do know it needs to be something quick! 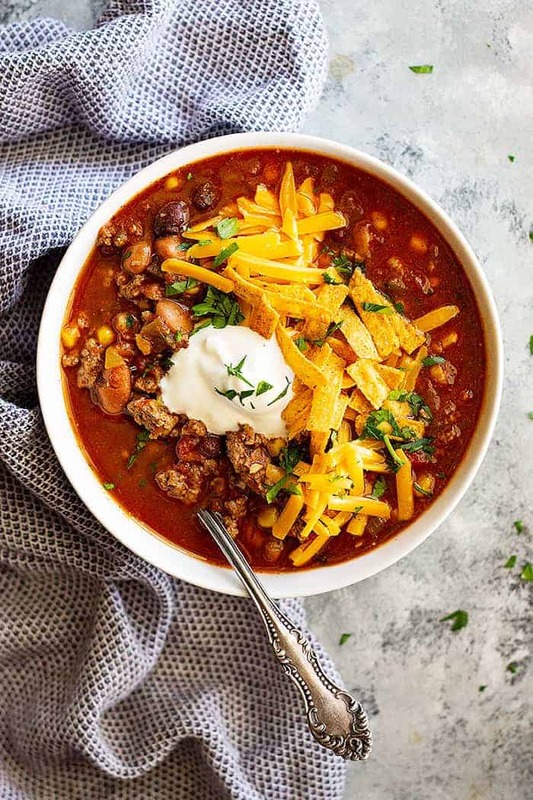 Make this taco soup using the stove top version and dinner is on the table in under 30 minutes! As I mentioned earlier this soup can easily be made in the slow cooker. Just brown your meat then dump everything in cover and cook on HIGH 4-6 hours or LOW 8 hours. You can also place the ground beef in the crockpot raw. Just be sure to use lean ground beef. Place ground beef in slow cooker and break up into smallish chunks. Continue by adding in remaining ingredients and cook the same. 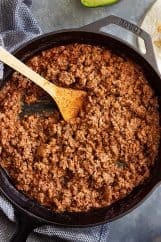 The texture of the meat will be slightly different and it may be in larger chunks but if you’re in a really big hurry and don’t have the time to brown your ground beef it works great! The texture of the meat will be slightly softer than meat that has been browned. I have made it this way several times before and my kids don’t notice any difference. Now there are sooo many options when it comes to serving this wonderful bowl of goodness. 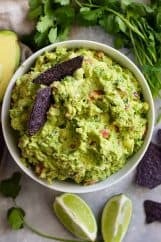 Top it with avocado, guacamole, sour cream, shredded cheese, cilantro, chips…… basically, anything you would top your tacos with you can put on top of this soup! My kids are not soup fans but they do like this soup. I remember the first time they used that line on me. They said the first half and then paused for a while, you know for effect, then finished. Where do they learn these things? Little stinkers!! In a large dutch oven or pot brown the ground beef and onions until meat is no longer pink. Add the garlic and cook for 2 minutes. Add remaining ingredients. Cover with lid and simmer for 15 minutes. Serve with toppings of choice. Can also be simmered longer if desired, just stir occasionally. Place raw ground beef in the bottom of the crockpot and break up into small chunks (or if you prefer you can brown it). Add in all other ingredients except toppings and stir together. Cover with lid and cook on high 4-6 hours or low 8-10 hours. Serve with desired toppings. Total time reflects stove top version. Freezer Friendly: Place in a freezer-safe container once cooled. Freeze for up to 2-3 months. Thaw and reheat as needed. The BEST Taco Soup!! It has so much more flavor than other recipes i’ve tried. Thanks for sharing. We made this for dinner last week, and it was so delicious. We plan to use it as a freezer-friendly meal for after the baby is born! Added envelope of taco sasoning and used kidney beans. Definitely a keeper. 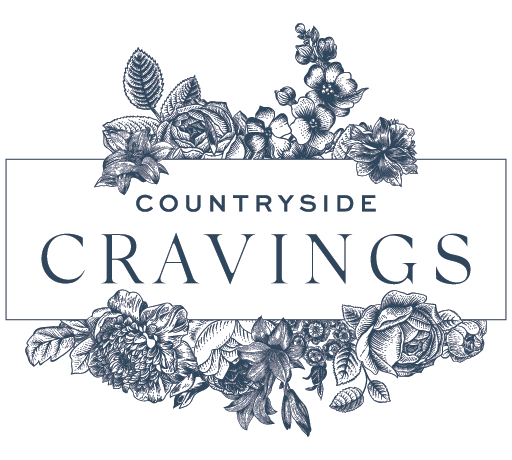 Thank you so much for sharing your changes!! So glad you liked it! Did u add taco seasoning in addition toto the other spices or in place of? Did u drain the kidney beans? Hi, so sorry I didn’t answer your question sooner!! I am not sure what the amount is in a serving size. I am so glad you asked me this question though because it made me realize I should measure and find out how much is in a serving size. Thanks for asking!! The taco soup is amazing!!!!! I prefer to use beef broth but chicken will work fine too. 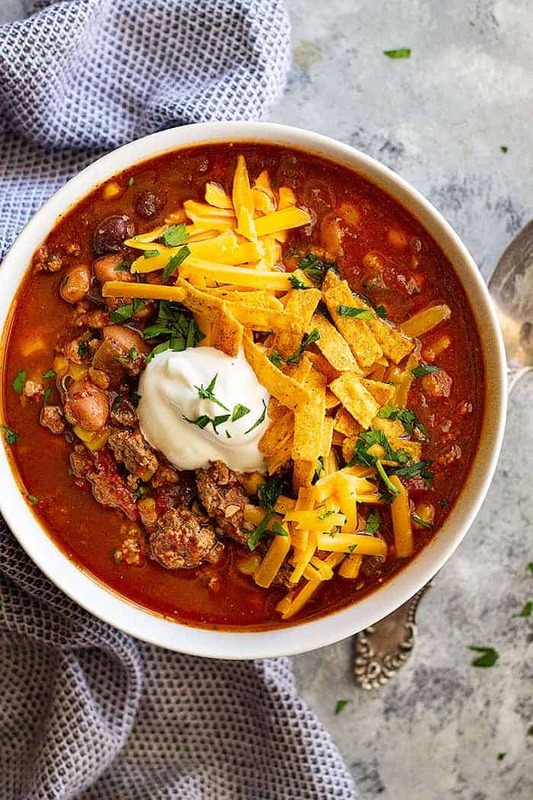 This taco soup was sooo delicious! It will be a stanby recipe. We made it tonight for a superbowl/Valentine family get together and it got rave reviews! 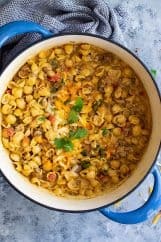 We made a huge pot of it to feed 30 people and it turned out amazing and so flavorful! It was also so easy to throw together. Thanks for sharing!!! I added a 1/2 cup of barley to this recipe – awesome recipe! Oooh, that sounds right up my alley!! Thanks for sharing Heather! !